Since Apple released iOS 8, many third-party apps have taken advantage of one of its more resourceful features: Notification Center widgets. These widgets have made it easier to interact with features and settings that would otherwise require launching an app itself, instead offering functionality through the native pull-down Notification Center. 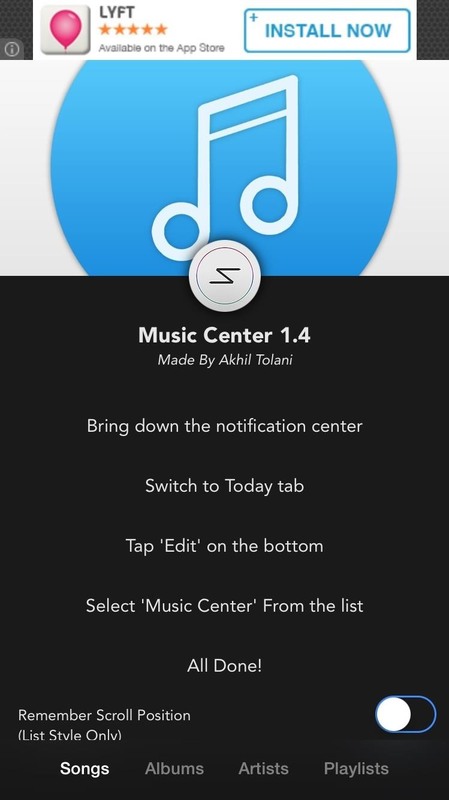 Music Center, from developer Akhil Tolani, is a new widget that places all of the music in your iCloud account and device storage right in your Notification Center, where you can easily view and play songs without having to use the Music app on your iPad or iPhone. At the bottom of Music Center, select which type of view you want in the widget: Songs, Albums, Artists, or Playlists. 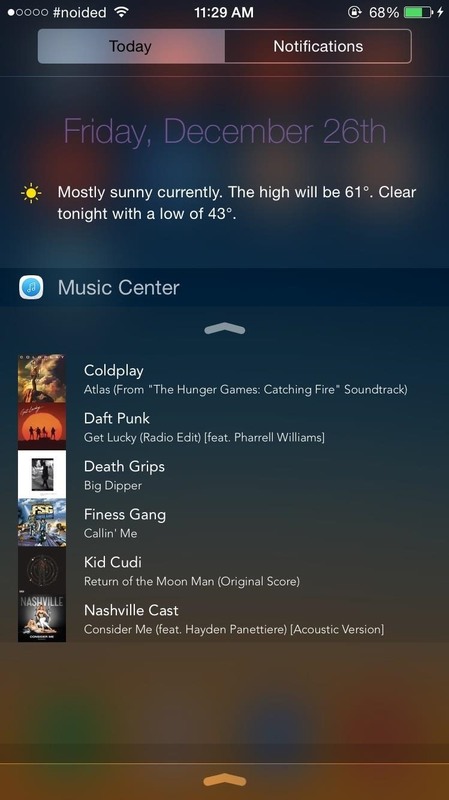 Now pull down your Notification Center, go to the Today view, scroll to the bottom, tap "Edit" and add the "Music Center" widget. Tap on the arrows at the top and the bottom of the widget to scroll through the list. Play a song, artist, or album by tapping on it. 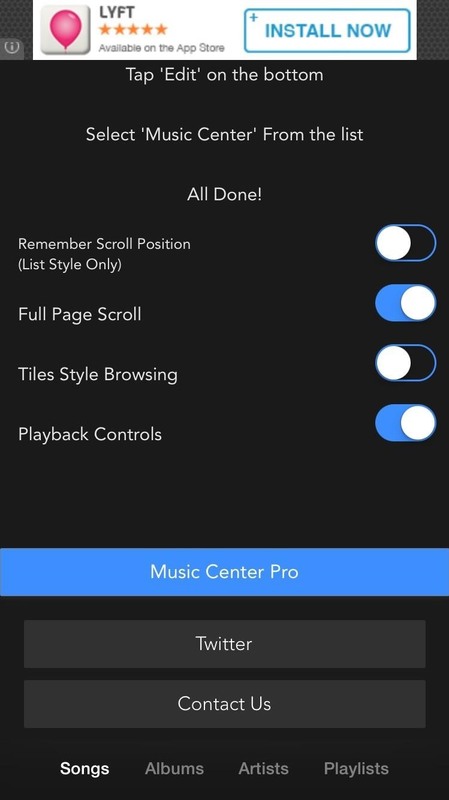 Through the playback controls towards the bottom of the widget, you can toggle shuffle and repeat, as well as pause, skip forward, and skip back through tracks. 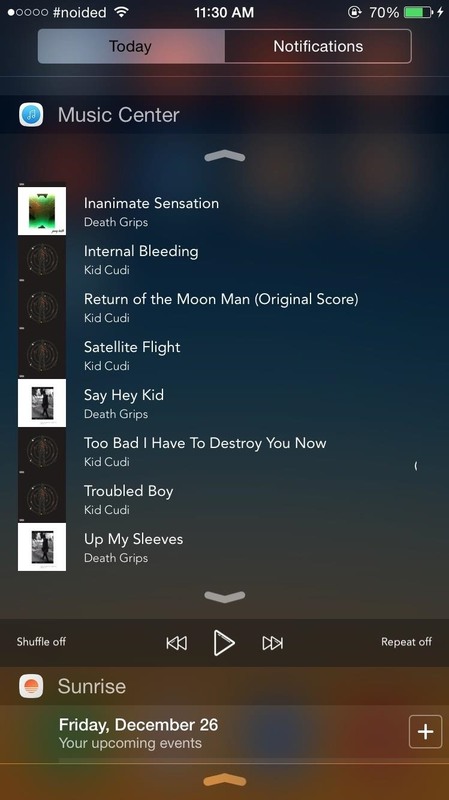 Now you can easily browse through and play all of your favorite music while playing a game, browsing through Instagram, or anything else you're busy doing on your iPhone without needing to leave the app you're in. Let us know what you think of Music Controls in the comments below or over on Facebook, Google+, and Twitter.